I know this is going to sound similar to what’s been going on north of here in Washington, but in the Tillamook area we seen fewer steelhead, yet the average fish is much bigger this season. Our steelhead have averaged 11-13 pounds, we’ve seen lots of fish over 15 and more in the 20 pound range than we’ve had in recent years (including a 25-pound fish last week). There sure weren’t as many fish this year, but they are bigger. It’s kind of interesting, but what we haven’t had and are just starting to get some now, is little, cookie-cut seven-pound hatchery fish. 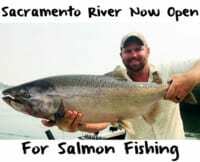 Most of the year has been defined with big, hatchery fish and more of them on the Wilson River. I have no idea why it’s been this way, but love catching big fish. While we are closing in on the tail end of our steelhead season here on the Wilson. I’m going to fish through April 15 before switching to springers. I still think we’ll have fish coming in through the middle of April. 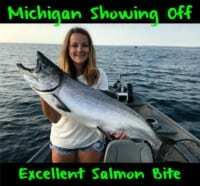 And, your downriver fish will start to come down in the next few weeks. There’s still fish around. By the end of this month there won’t be that many people fishing around here because people go springer fish. However, in April we’ll have downers and some fresh and not much pressure. 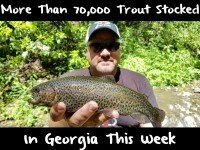 It’s a great time to fish without battling crowds. I’ll be fishing jigs and roe. Later in the season I’ll be running mostly natural BorX O Fire eggs, because the downriver fish and the fresh fish will pick them up. Sometimes your downriver fish don’t like hot eggs, which is partially why stick to the natural. Tomorrow I’ll be fishing colored eggs because the Wilson is just coming back in, but under normal water conditions I’ll be using natural. The lower and clearer the Wilson gets the smaller the bait needs to be, the smaller the hook and the smaller the line. When it was super clear last week I used 6-pound fluorocarbon with a size-two hook, but that’s the smallest I’ll go. When I do this I’ll use a pinky size glob of roe. If we get any higher water conditions I’ll switch to orange BorX O Fire after soaking them in natural Fire Brine. I turn to the orange when water clarity goes down to two to three feet. If visibility is more than three feet we’ll use natural colored eggs. However, late in the season if I’m running two or three guys I’ll also run a jig rod, normally with some type of a black jig with a white or pink head. I like ¼ ounce jigs. The darker colors seem to work well later in the season. Late in the season standard stuff remains. In high water we’ll be fishing on the edges of the deep holes and in tailouts. In low, clear water I’ll still fish the tailouts, but I’ll stick to the green deeper pockets and some of your deeper water. The Wilson isn’t a big deep river. If it’s low and we are fishing at five-feet or under (Wilson River level) a deep hole is probably defined as a 10-foot hole and there aren’t very many of them. Guys who know the river know where I’m talking about. We’ll also fish in broken water where there’s current and riffles.